Kaisercraft Ooh La La 2..
My second Kaisercraft Ooh La La cards, still using the papers from the 6″ pad for the background layers – they were the leftover pieces from the first card..and the inner layer is from a sheet of 12 a 12 paper, as is the flower which I fussy cut.kaisercraft pearls,ribbon and a sentiment from the sheet in the class kit from Paper Flourish to finish.I am going to venture into the craft room this morning for an hour, no die cutting, but I will see if I can make at least one simple card ..it’s that or go crazy!! 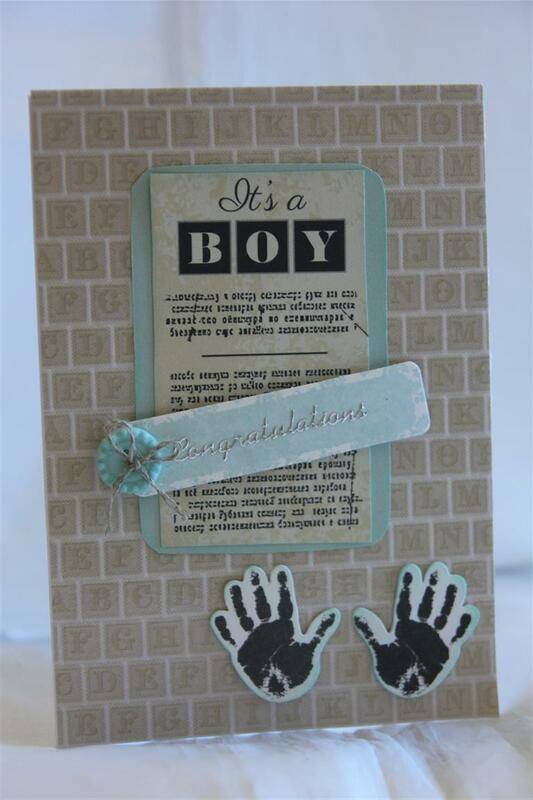 Til tomorrow…..
Before I switched to wedding cards yesterday I was making Baby cards.These two are made with Kaisercraft Pitter patter, but I have only bits and pieces left of this range so when I packed up I added the bits to my Kaisercraft bundle of Joy bits and pieces – the colours are very similar and both ranges will work well together, so the next few baby cards will be a mixture. 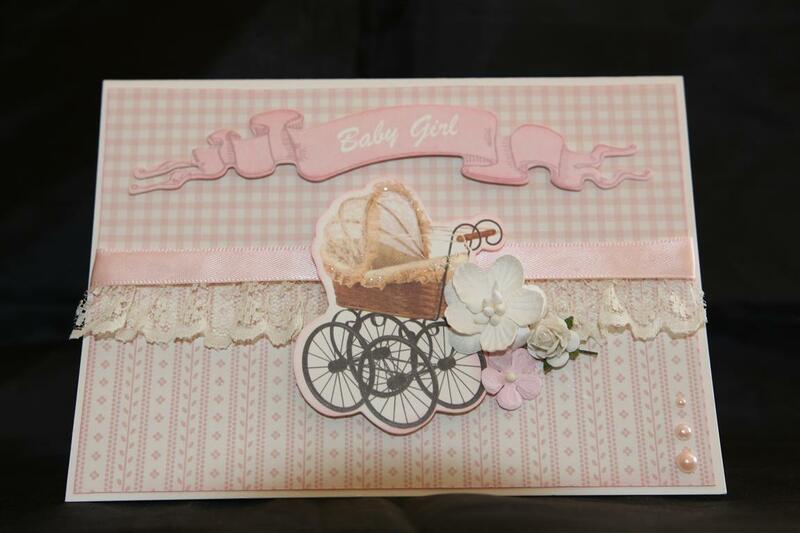 I am ready for kaisercraft to bring out a new baby range! 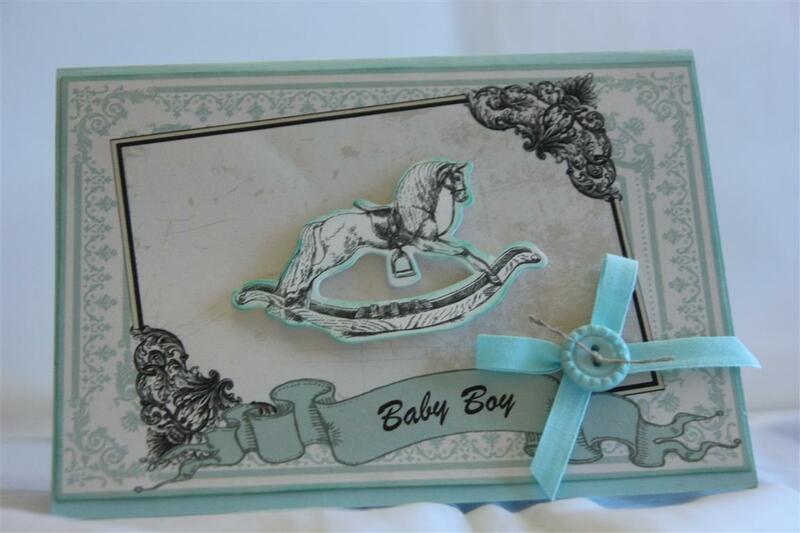 For these two cards shown I have just added buttons and a small ribbon bow for texture. Still raining here but not complaining! good crafting weather. 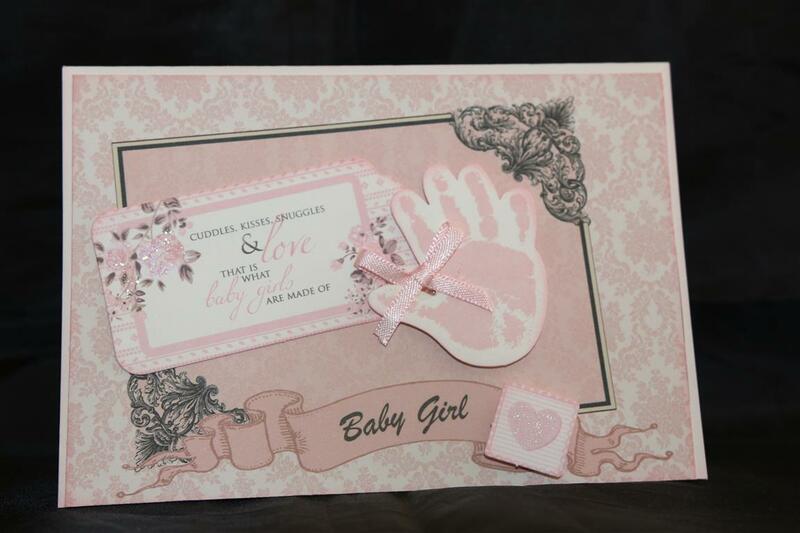 Til tomorrow…..
Kaisercraft Pitter Patter 8 and 9 baby girls…. Today on the blog we have Kaisercraft pitter patter 6″paper pad, a bit of a 12 x 12 sheet ( on the top card) , collectables, and assorted ribbon,lace ,flowers, and pearls.My favourite is the bottom one! This weekend I am taking a break from all things kitchen related,to spend some time in the craft room preparing a vilage lesson for next saturday, and fulfilling a couple of orders.I also want to do a few cards for my craft fair boxes, which will be here before I know it! 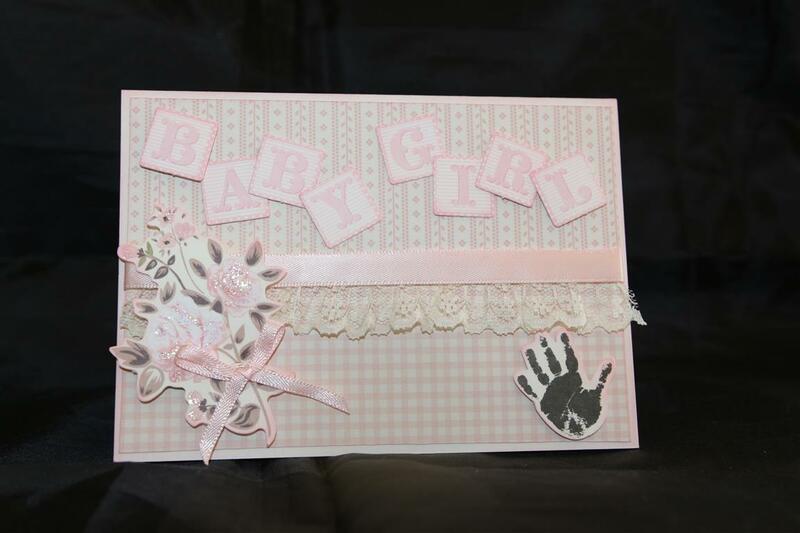 Til tomorrow…..
My craft fair box was empty of baby cards, so I got out my kaisercraft pitter Patter papers and matching collectables to make a few. I added some lace,ribbon, and kindyglitz and pearls and had a few made quite quickly!Today I taught a class,and then had a browse around the shop and found all the new graphic 45 paper collections, so I have come home with a big bag full of new papers to play with ,hopefully I will have some craft time this weekend. life has been very busy over the last few weeks, but this weekend is a long weekend so I have high hopes! til tomorrow…. the last four cards in my Kaisercraft Pitter Patter collection are birthday cards and I have only done a couple of cards so far using the pink themed papers in this collection.i used the sheet of patterned paper that had the hexagons design for the top two cards, and added ribbon and flowers, ( cardstock is stampin up pool party) and for the bottom two cards I used my Prima dolls stamps, and couture creations retro flower die, pearls and martha stewart leaf punch. I punched the leaves from cream paper and sprayed them pink with some pink fireworks spray to give a mottled effect. til tomorrow…. 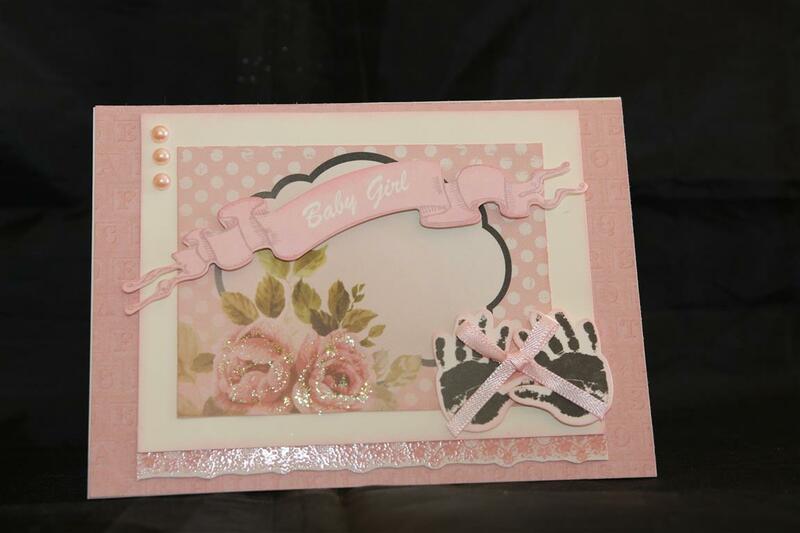 This is the last baby card I made with Kaisercrafft Pitter Patter paper and matching collectables, although I do have some birthday cards which I will put up all as a group tomorrow. 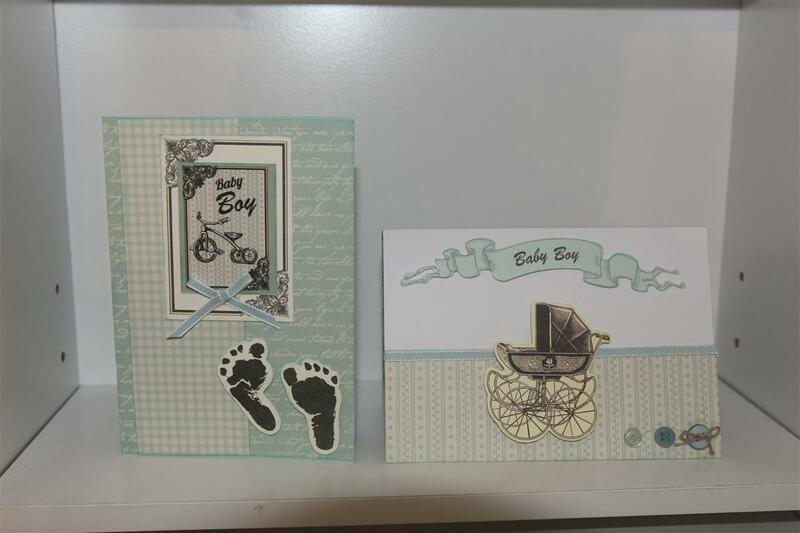 The cardstock, button, ribbon and twine are all stampin up ojn this one – colour is Pool party.Glad to say my blog is back to normal – wordpress must have had a few complaints and have let us choose old or new so of course I opted for old! 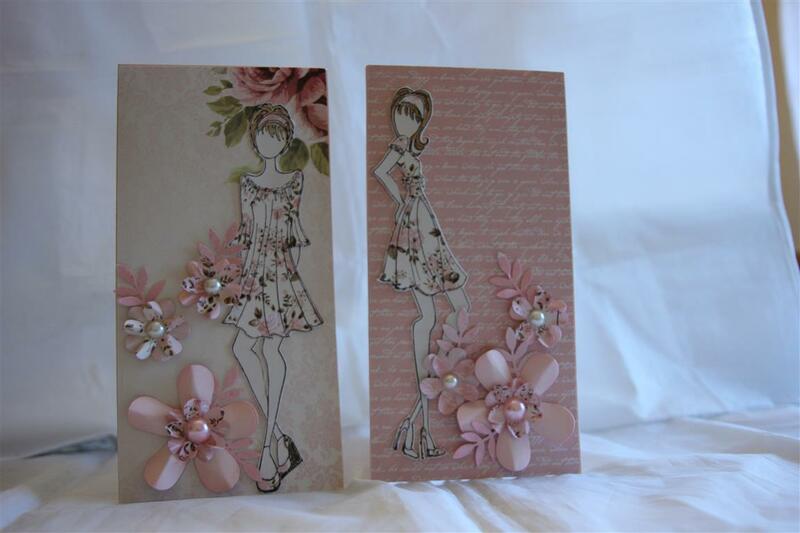 I had a tiny class this morning, so sat and joined in the cardmaking – so now I have done my october classes! feels good to be so far ahead! 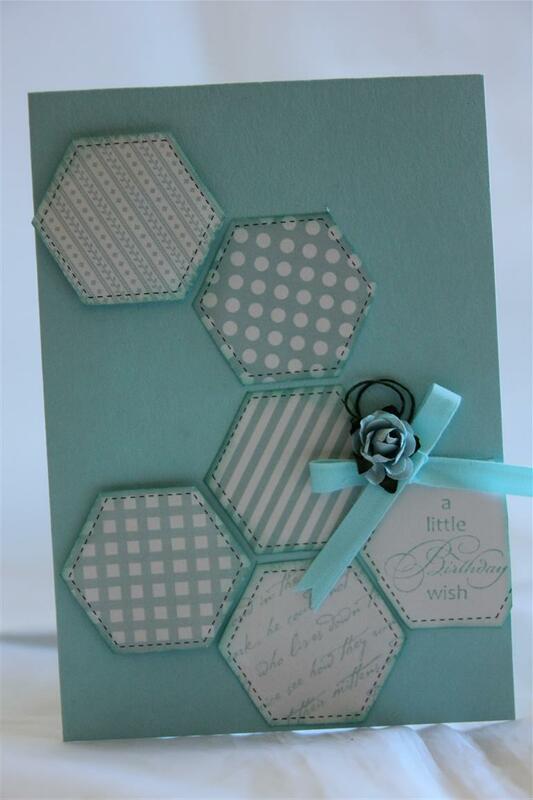 Til tomorrow…..
Kaisercraft pitter Patter 6″ pad for the paper, and the matching collectables to embellish. 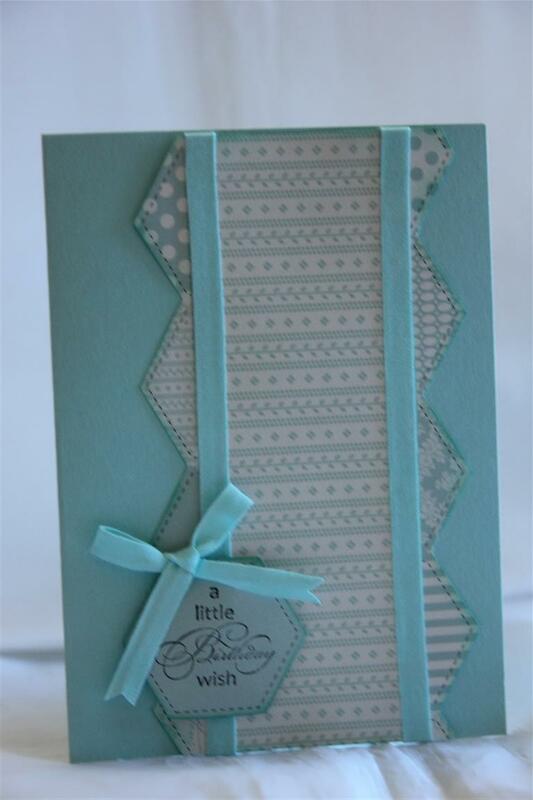 I used stampin up sky blue cardstock, ink pad ( to ink around my edges) and button and linen thread to finish. today I have been moving some of my bigger tools into the adjoining room ( to be known from here on as the craft room annex!) but I have been a little distracted playing with my new spellbinder dies – I love the borders I bought, and have lots of ideas for them – may even do a lesson using them… still working on that thought! til tomorrow….